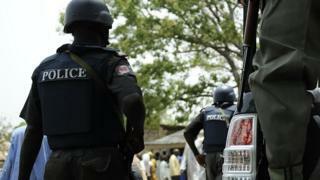 A Nigerian woman has been arrested after allegedly trying to sell her one-month-old twin girls. She has been charged with child trafficking, although police say further charges may be added. The woman was arrested while allegedly attempting to sell her girls for 350,000 naira ($980; £730) to a buyer, who informed the police. Cases of baby selling for illegal adoptions and trafficking have been a problem in Nigeria for some time. The woman, aged 30, did not make any official plea at her court appearance in the northern city of Katsina but during interrogation said "economic challenges" made her do it, the local Guardian newspaper reports. Nigeria is a major oil exporter but most of its 170 million people live in poverty. The National Agency for the Prohibition of Trafficking in Persons (Naptip) say their 2011 investigations suggests that babies are sold for as much as $6,400 (£4,200) each. In 2013, seventeen pregnant teenage girls and eleven babies were rescued when police raided a "baby factory" in Imo state. Despite the public outrage and government's promise of a crackdown, cases of Nigerian mothers selling their babies or caught in the process continue to occur. Two years after the "baby factory" scandal, another woman was arrested for trying to sell her baby for $90 (£67) in south-eastern Cross River state.